Click on the 'Help' menu option. 4. Type Testng in Find text box and click on search icon. After TestNG is appeared in the search click on the Install button. 5. After clicking Install, it will show some other dialogues, just click accept the terms and click Finish. 6. Installation will take some time to complete. 7. 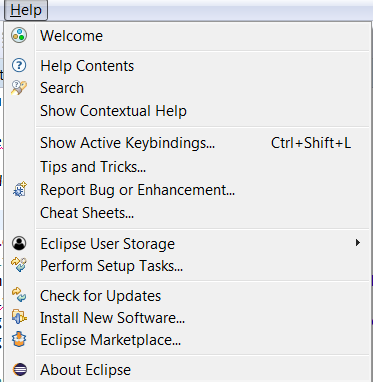 Eclipse will ask you for restart, click yes. 8. After restart, you can verify if TestNG is installed correctly or not. 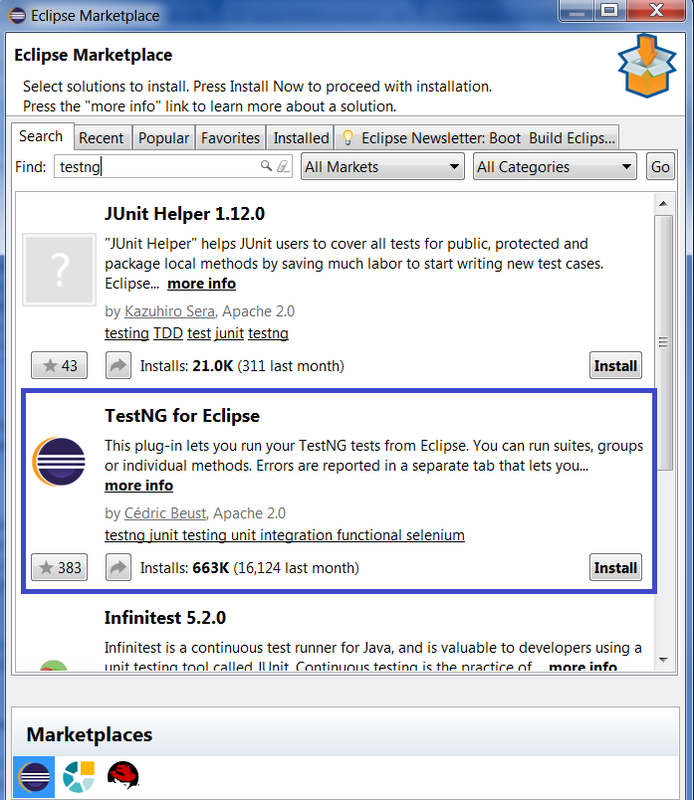 Click Window -> Preferences , TestNG should display in Preferences list. That's it, you are done with the installation. 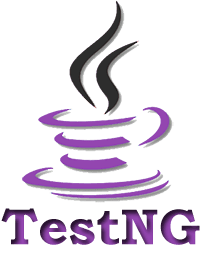 We will creating and executing test cases using TestNG in next post.